Hi! I’m Alan and I am Going to College! Hi I’m Alan and I am going to College! I go to Metro State University. May 2015 I got a scholarship from the John Lynch/Anna Sie and John J. Sie Global Down Syndrome Foundation. John Lynch Salute the Stars 2015 Global Down Syndrome Foundation Scholarship to help pay for college at Metro University. 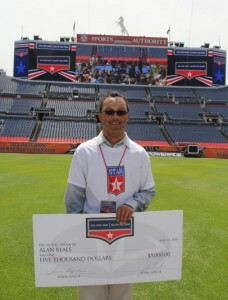 John Lynch’s Salute the Stars is designed to honor student-athletes, including some with special needs, from the Denver and greater Colorado areas. It is the Lynch’s intention to recognize what is ‘right’ with our youth today. The student-athletes who are honored excel in academics, athletics and community involvement. I met John Elway, John Lynch, and Coach Kubiak on the Bronco Field with other kids and an Air Force color guard. Now I go to Metro and study Sports Fitness and Unified Coaching. Ms. Cathi and Ms. Janie are my teachers. I use Outlook to send letters to my teachers. The teacher puts lessons and our pictures on the big screen. We have lessons on YouTube. I am Learning How to Learn and Self Advocacy, that’s a big word. I learn how to talk about disabilities. 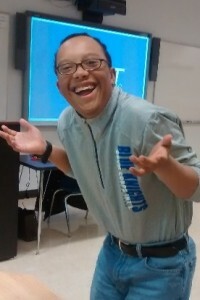 My disability is Down syndrome. I learn to talk for myself. We do presentations in class. I like to do presentations in class with my fiends Rick and Mason. I use accommodations, my laptop and Natural Reader. Metro has a lots of food and stores. The cafeteria is in the Tivoli Building with healthy food. Rick sings in the university choir. We went to the choir concert and saw my friend Rick Newell sing Christmas songs. Rowdy and Jenny help me read and review coaching lessons. They go to Metro too. 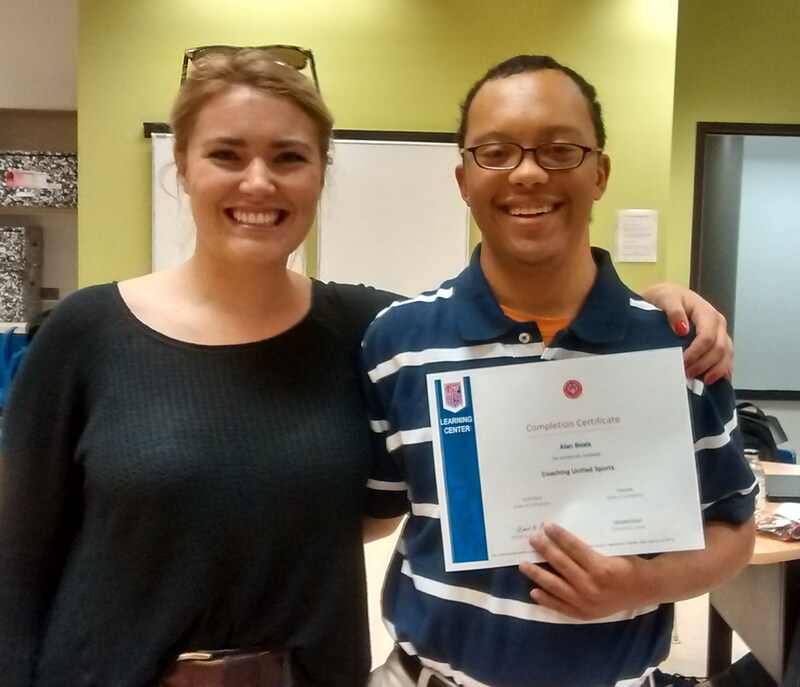 Last week I finished the coaching class and got my certificate. I get to learn more next year. I’m not done yet! 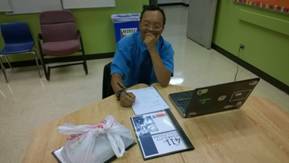 Alan is participating in the Inclusive Education Certificate Program at Metropolitan State, which is going strong! They have a limited number of spaces available for our College Prep semester on-campus, beginning January 2016. Email info@IHECP.com for more information and an application. Great post Alan! Show em what you’ve got. You rock! Way To Go Allen Keep It Up You Rock!!! !